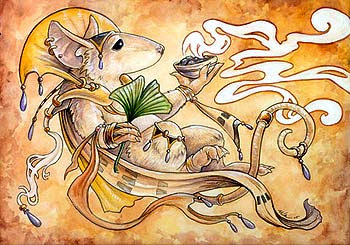 Air mouse by ursulav. More info on her website. Anthropomorphic (or "Anthro") Art is art that gives human characteristics to non-human creatures and beings, phenomena, material states and objects or abstract concepts. 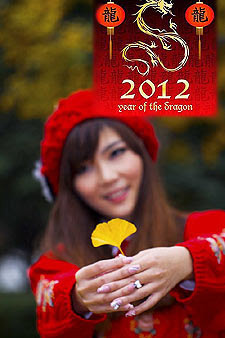 Happy Chinese New Year - Year Of The Dragon. Photo taken in Chengdu by 半潭秋水 on POCO.cn. 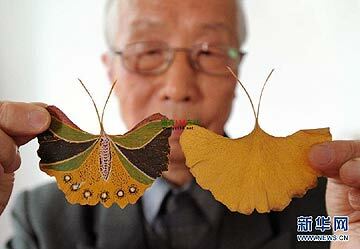 More photos with Ginkgo leaves here. HD-video of an 800-year-old Ginkgo tree in Ikusaka, Nagano prefecture, Japan. This Ginkgo is a natural monument and has many chichi. The chichi (= mothers's breasts) are seen as a sign of motherhood and a pregnant woman or a mother can pray here to let her have milk for her baby. Location and more info on this Japanese website. Video by sio2ki on YouTube. * Added on my Literature-page: French youth book "Le Ginkgo". * New topic: read / download book on Ginkgo biloba. * Added on my FAQ-page several Ginkgo nurseries in the Netherlands and Belgium. This HD-video shows a huge Ginkgo tree of over 1,200 years old. Location: Kokubunji Temple in Hida Takayama City, Japan. Video by Takayamajapan on YouTube. * New photo + video photospecial page: Ginkgo biloba trees in Amsterdam. 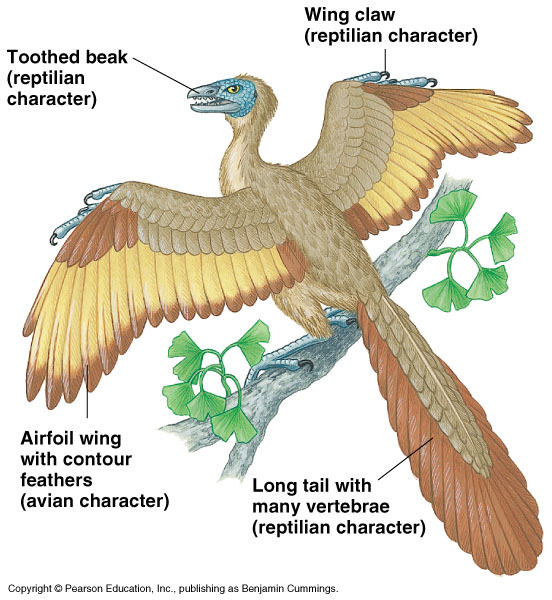 Late Jurassic period, c. 150 million years ago: drawing of Archaeopteryx , the oldest bird (or is it a dinosaur closely related to the origin of birds? ), sitting on a Ginkgo tree branch (leaf form not correct, read my Fossils-page). Click on picture to see an enlargement. Japanese Detective Conan manga. See many Ginkgo leaves in this video scene about a first love symbolized by the Ginkgo leaf. Video by Theranlove2 on YouTube.